TP Mazembe of DR Congo revived hopes of reaching the semi-finals of the Champions League after beating Coton Sport 2-0 on Sunday. The hosts started brightly in the Group B game and raced into the lead after just two minutes when striker Mputu Mabi fired past goalkeeper Kassali Daouda. The Cameroonians fought bravely to withstand the home side's incessant attacks in the first half but could not prevent Dioko Kaluyituka from scoring three minutes after the interval. Kaluyituka turned a defender inside the penalty area before beating Daouda with a low shot into the corner. Mazembe should have added a late third when Tshamalenge Kabundi broke through but he was foiled by the goalkeeper. Cotonsport thought they had reduced the arrears when they found the net from close range on 66 minutes, only for the effort to be ruled offside. Mazembe also had a goal disallowed for offside near the end of a lively match in which Coton Sport won plenty of possession only to be let down by tame finishing. 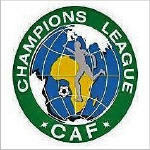 The result lifted Mazembe from the bottom to the top of the standings, level with Coton Sport on seven points, but ahead on goal difference, while Enyimba of Nigeria are one point behind and Al-Hilal of Sudan two back. Coton Sport, who would have qualified for the semi-finals had they beaten Mazembe, get another chance on Saturday to make the penultimate phase when they host Enyimba in Garoua. Mazembe complete their six-match programme away to Hilal the same day and a win for the 1967 and 1968 African champions would put them in line for a place among the last four contenders. Meanwhile, the other Group B game between two-time champions Enyimba and Al-Hilal has been rained off. The water-logged pitch in Aba means the match will be played on Monday.